Your front door provides the entry to a lifetime of memories. An intentional choice in an entry door impacts all who pass through it. Entry doors provide a welcoming warmth while securely protecting all who enter your home. Friends, business associates and neighbors alike will enjoy your hospitality beginning right when they approach your beautifully designed entry door. Most importantly, you and your family will enjoy your personalized entry door—the perfect complement to your home’s structure. Make an entrance with a beautiful entry door professionally installed by skilled craftsmen, and you’re off to a great start with all who come into your home. Get your new entry door installed by Kelly Door and Window installation experts who don’t cut corners and pay attention to the smallest details. Whether you prefer a wood grain textured steel entry door or a smooth steel entry door, you’re sure to appreciate the durability and energy efficiency of a new steel front door. Steel doors provide beauty and security simultaneously. Customizations for steel entry doors include customized width options and increased height options of up to 8 feet. Get a picture of your options by seeing how different doors look on your home with our app designed with you in mind. 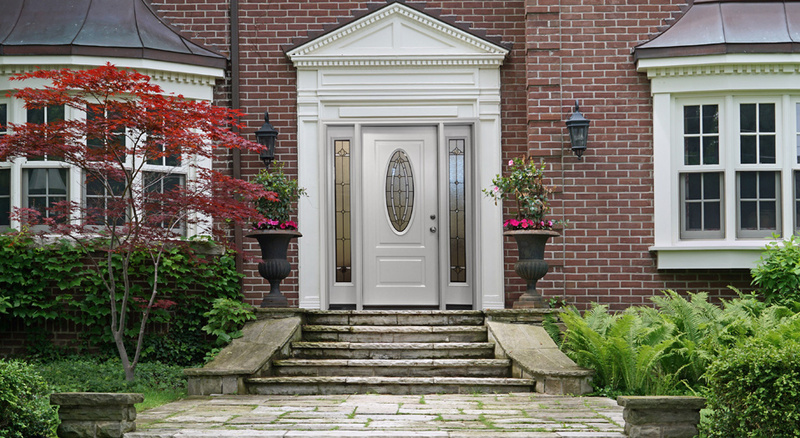 Whether your home is contemporary, modern, traditional, or historic—the perfect entry door awaits. Go ahead and dream again, and take the step to secure the optimal exterior door for your enjoyment. Deciding between a wood or steel door can be challenging. Avoid the frustration of choosing a new entry door at random. The door selection and design process can be fun and rewarding with the help of the experts. Get the professional assistance of Kelly Window and Door consultants when it’s time to choose your new entry door. On the day of the installation, the installers arrived early, worked long and hard, and finished the project on the same day, just as promised. The results were excellent. Cleanup was thorough. Very pleased with the product and the installers were professional, wonderful workers, and trustworthy. Really enjoyed the positive experience.